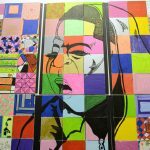 Participants in the Don & Sallie Davis and Fitzsimonds Boys & Girls Clubs showed their art work in an art exhibition called “Day 2 Day,” a journey through the life experiences of Milwaukee youth. 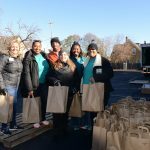 Aurora Family Services distributed Thanksgiving groceries to 3,100 Milwaukee-area families through its Family to Family Thanksgiving program. 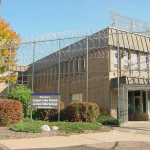 The program has helped more than 58,000 needy families during the past two decades. 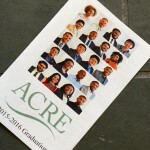 Twenty students graduated from the ACRE program, which is designed to increase minority representation in real estate, property and construction management in Milwaukee. 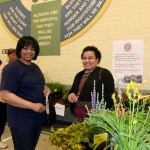 More than 50,000 flowers in 18 neighborhoods were distributed over two recent weekends as part of the city’s Bloom and Groom program. 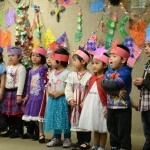 Refugees from Burma, Somalia and other countries celebrated the holiday season at the International Learning Center, a program of Neighborhood House. 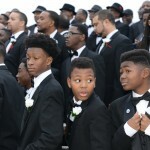 Hundreds of young men and mentors donned tuxedos on Saturday for a full day of activities including food, speakers and entertainment. 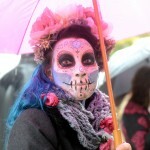 The 6th Annual Día de los Muertos Parade took place in the Walker Square and Walker’s Point neighborhoods on Saturday, Oct. 31. 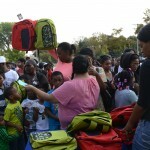 The Silver Spring Neighborhood Center distributed backpacks filled with school supplies to children who live in the Westlawn housing development and the surrounding community to help get their school year off to a good start. 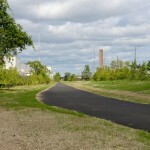 City officials and community leaders officially opened the extension of the Beerline Trail, part of a former railroad line that historically served the brewing industry. 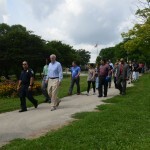 Milwaukee Police Department ambassadors joined Mayor Tom Barrett and Washington Park residents Tuesday for a one-mile walk through Washington Park, Metcalfe Park and Martin Drive, culminating in an ice cream social. 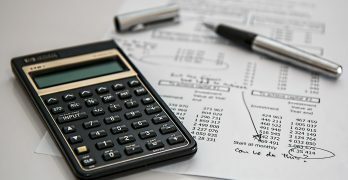 Barrett is challenging Milwaukeeans to walk 100 miles in 100 days.